You know how your parents always said that they didn’t have any favorites among their kids and they loved you all equally? They lied. We ALL play favorites. Not intentionally, not maliciously, but we do it anyway. It’s human nature. With people (your kids or whoever), you can love them all just as MUCH, but there are always people you click with differently..better..on a deeper level somehow. That’s the same reason you end up with a spouse or partner. You…just…click. It’s no different with foods. Everyone has favorites. Foods or flavors that just click with you. Most of us (the normal ones anyway) love chocolate and will use any excuse to eat it. Others love vanilla anything. Put something with lemon or other citrus in front of yet another person and they will devour it. What’s one of mine? Other than all of the above lol? Almond. Not so much the actual nut To me, they tend to be rather flavorless and I don’t like the texture, though slivered or sliced and toasted is a whole different story. but no, I mean things flavored with almonds. be it almond extract, almond paste, almond filling, marzipan, whatever, I absolutely love anything with almond flavoring. And I add it to as many things as I can think of that it will go with. One of almonds favorite places to call home is in my stomach in baked goods. Cookies, yeast breads, coffee cakes, muffins and on and on. It’s yummy in all of them. 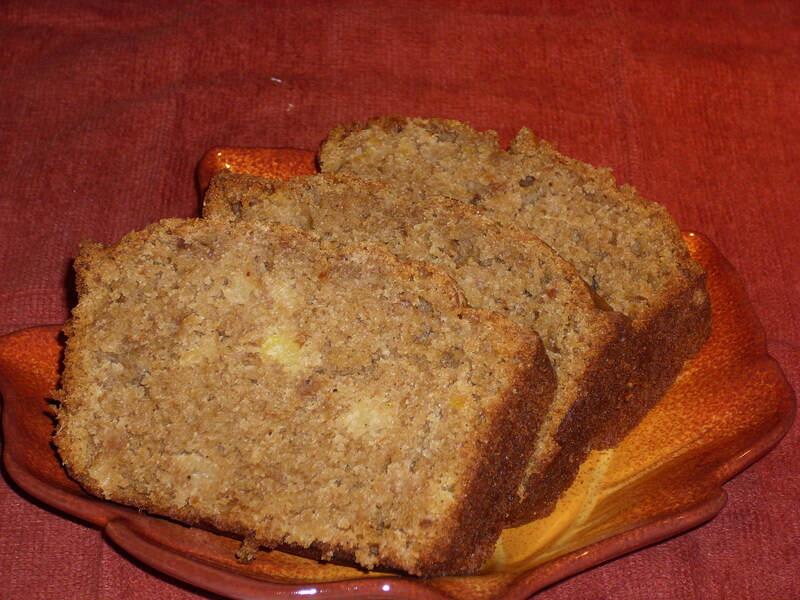 My favorite way is in a quick bread. 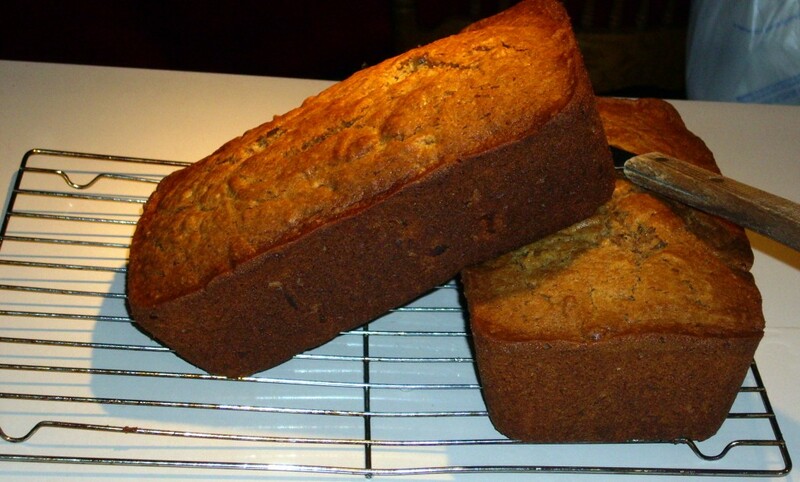 We love quick breads here anyway (keep my husband away from my Chocolate Chip Banana Bread or nobody else will get any.) so making one with almond flavoring in it was a natural for me. But I couldn’t leave well enough alone and added some praline pecans to this one. This is just a basic quick bread. 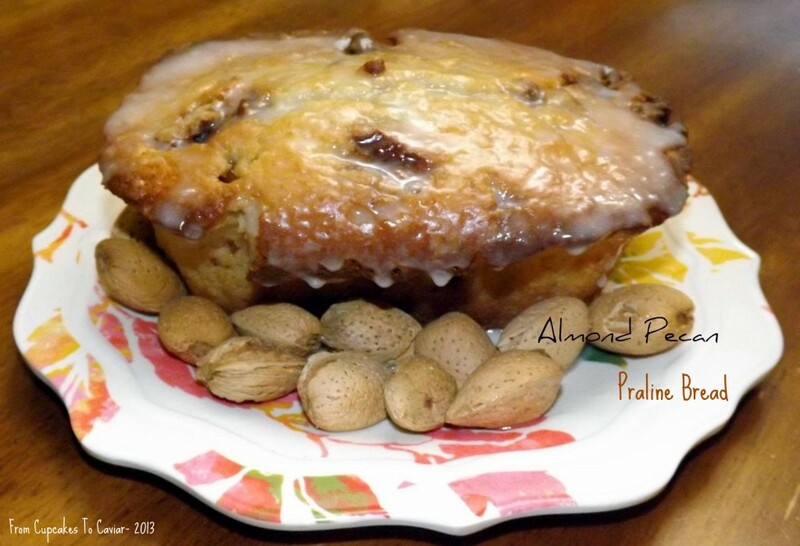 The fun comes from the almond flavoring and the pecans. They totally make this bread. Spread this bread, still slightly warm from the oven, with raspberry, cherry or apricot jam and you will be in heaven. Those fruits are so complementary to almond. This is great for dessert, breakfast, a snack or just cause you’re darn cute and deserve a slice or twelve. Grease and flour 5 mini loaf pans. You can also use cooking spray. Preheat oven to 350 degrees. In another bowl or a large measuring cup, combine your wet ingredients. Make a well in the middle of the dry ingredients and dump in the wet ones. Mix JUST until combined. As I’ve said before, don’t overbeat quick breads and muffins. You will end up with tough tunneled bread. Fold in the pecans, then spoon or scoop the batter into the prepared pans. Bake at 350 until golden brown and a skewer inserted into the middle comes out clean. Let cool in pans on wire rack for about ten minutes if you plan on then turning them out or just leave them in the pan on the rack until completely cool if giving them away… though I’m not sure why you’d do that. To make the glaze, just combine everything in a small bowl. Drizzle it over the cooled breads. Please tell me that, like me, you don’t feel that pumpkin recipes should only be posted in the 2 weeks preceding Halloween and only up until Thanksgiving and then they should be put away until the next year? Because if you don’t feel the same, there is a good chance that I will cry uncontrollably and will have no choice but to rethink our relationship. I DO use pumpkin more when Autumn first arrives but then I seem to get into the pumpkin groove and don’t stop using it until…well, I just don’t stop using it. It’s a year round thing for me. I kinda like pumpkin. Pumpkin Cranberry Bread needed company here in the blog. Now normally when I make pumpkin bread, I make the pumpkin cranberry one. 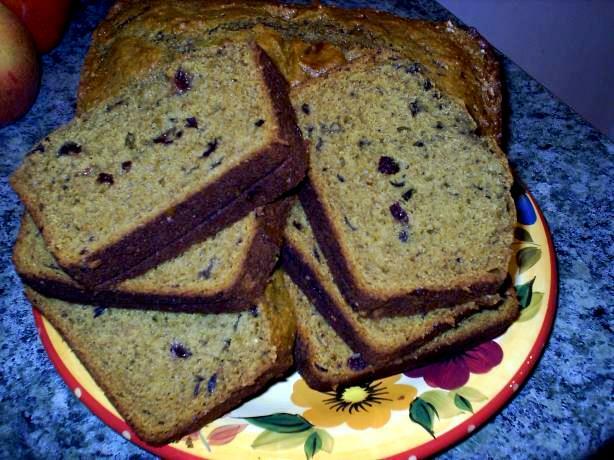 It is my favorite quick bread; very moist and flavorful. 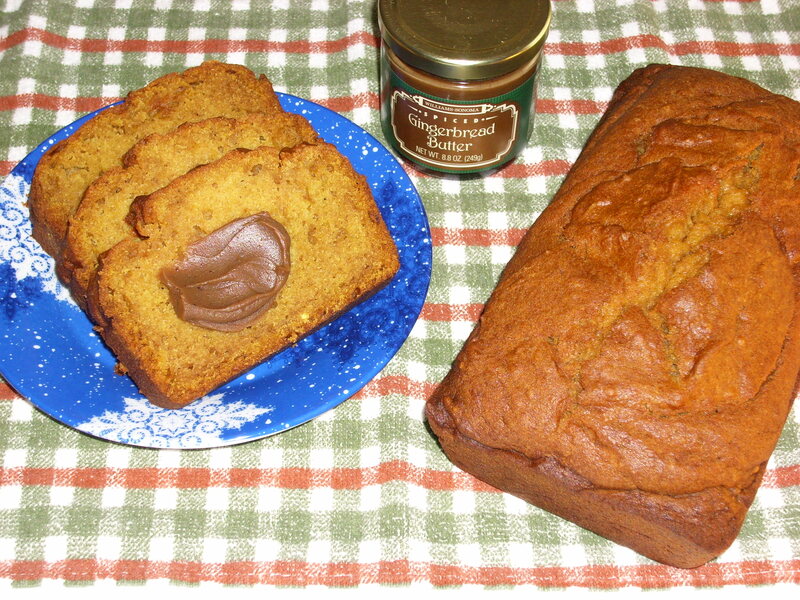 But for the longest time, I have had a printed out recipe for pumpkin bread that was just plain pumpkin bread. Literally had this for years and have never tried it. So I figured it was time. 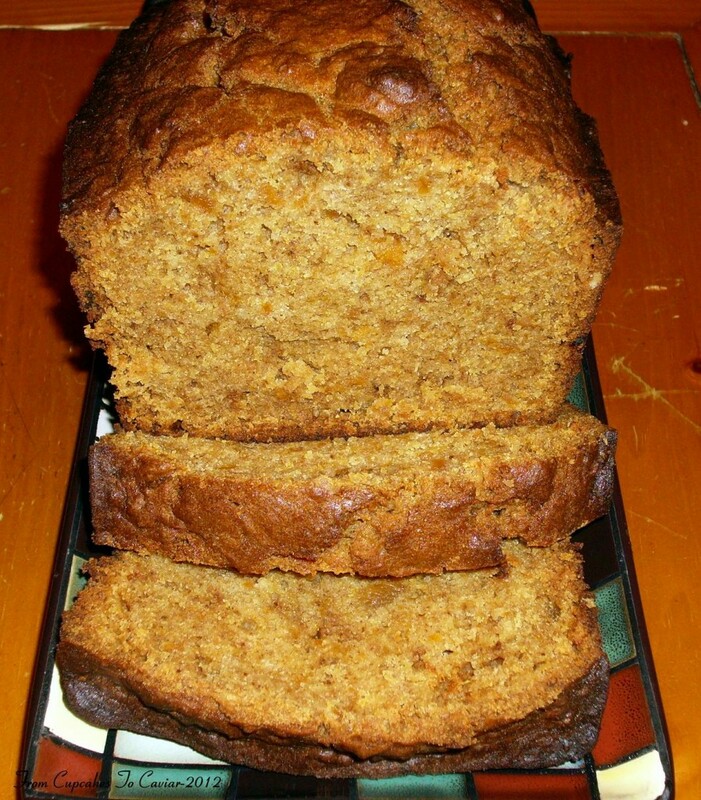 This comes from food.com and while I don’t think it will take the place in my heart stomach filled by many slices of pumpkin cranberry bread, it was very good for a simple quick bread. It was moist and had good flavor albeit a milder one than I usually make. When I make it again, and I will, I will use more spices in it (I already doubled it so that’s saying something). I changed it a bit from the original but not much. So here you go. 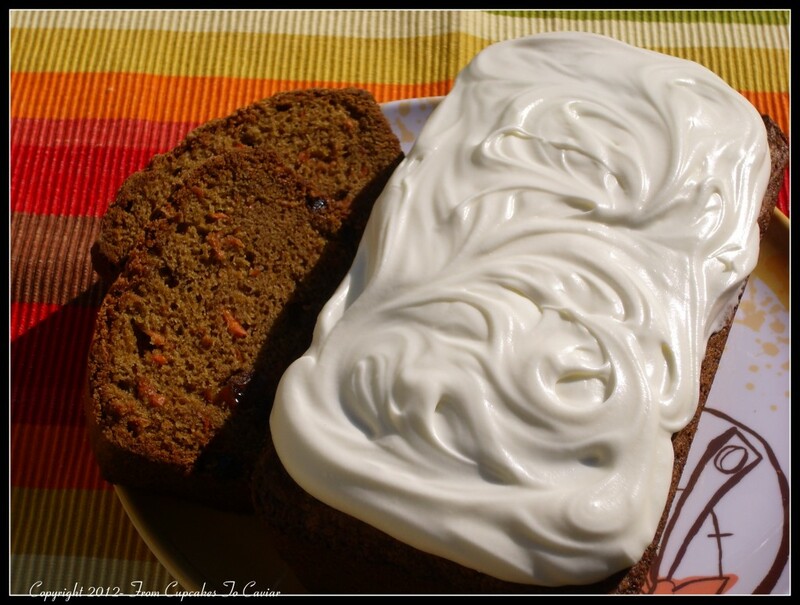 If you like pumpkin bread and like making things that twist up old standbys a little, try this one. I don’t think you’ll be disappointed. I made this in 9 inch loaf pans but I think 8 would be better because the loaves were a little thin for my preferences. But when you make this, if you use 8 inch pans, you will probably have to cover it with foil near the end to prevent over browning since the cook time will be longer. Preheat oven to 350 degrees. Grease and flour (or just use cooking spray) 2 8 or 9 inch loaf pans. In a large bowl, mix together the dry ingredients (including the pudding mixes) . Add the rest of the ingredients to the eggs and mix well. Pour the egg mixture into the flour and stir until just combined. Bake at 350 for about 70 minutes (longer if using 8 inch pans) or until wooden skewer inserted in middle comes out clean or with crumbs on it, no loose batter. Cover with foil if it starts to brown too much. Let cool in pan for about 5 minutes then turn out onto a wire rack to cool completely. Sweet(s Potatoes) For The Sweet?? I absolutely adore holiday cooking! I mean, I love it! My hips? Not so much. But oh well. I’ll do what I do with other things. I’ll make it, enjoy watching others eat the things I cook and only have a little bit myself. But seriously, I have mentioned before that I love this time of year. Not just because I enjoy cooler weather, which I do, or love the coziness of shorter days and longer nights, which I also do, but because I love the foods. Especially the ones traditionally served from Thanksgiving to New Years Day. Cookies (omg, I make a TON every year. It’s a tradition I started when my 3 oldest were young because I didn’t have the money to buy them gifts but I had food and it has never stopped… mainly because my kids would kill me if I tried to stop. ), candies (FUDGE!! ), desserts of other kinds (I could happily live on my recipe for Pecan Pie – that is, until I went into a coma from too much sugar and died), Turkey, ham, stuffing (do you call it stuffing or dressing?) and various biscuits, scones, muffins and quick breads. Lord, I think I just gained five pounds from just writing that paragraph above. Plus, my keyboard is covered in drool, darn it. Moving on… (hehehe…. I wonder now how many times I’ve used that phrase since I started the blog? ), where was I? Oh yeah, quick breads. I have always thought that they were called quick breads not because of the ease of prep, though they ARE easy, but because of how quickly they get eaten 😛 . I swear, if I want any when I make them, especially this one, I have to hide a slice… or twelve. I love sweet potato casserole. Yes, I even love the kind covered in 14,000 mini marshmallows; the one responsible for the 33 million cavities gotten by children during the holidays. I could eat it until it is coming out of my ears. So when I saw a recipe years ago on food.com for Sweet Potato bread, I had to try it. And it was good. Really really good. But it needed something. If only because I am genetically incapable of leaving a recipe alone. So I played with it. A lot. Until it really no longer resembles the original recipe. I”M SORRY! I’M A HORRIBLE PERSON WHO CHANGES RECIPES!! I NEED REHAB!!! Ahem. Moving on. This has become a sweet potato casserole pineapple bread. I always put pineapples in my sweet potato casserole and decided to try it in the bread. it worked quite well. 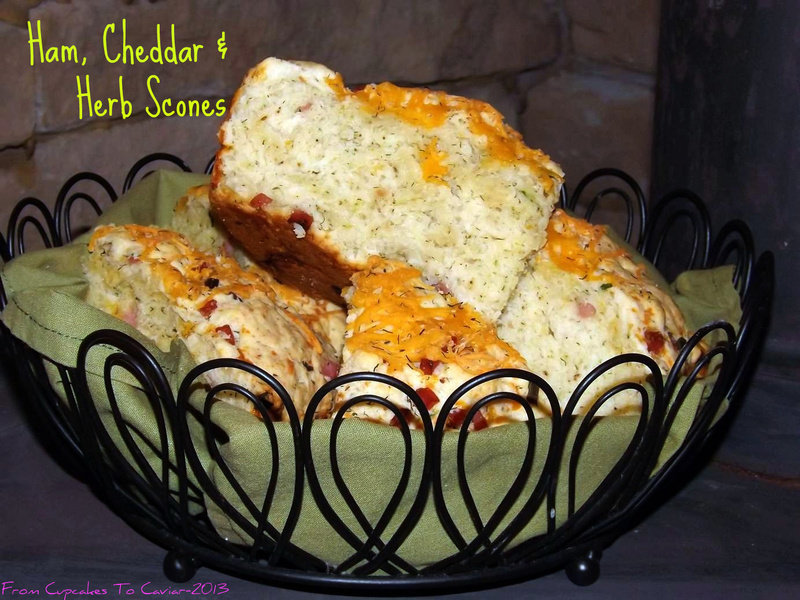 It adds a nice subtle tartness that goes oh so well with the dense sweetness of the bread. So give this a try. It is fairly quickly made (though a bit more involved than your normal quick bread) and it’s delicious. Sweet, moist, a fairly dense bread yet still light, with a nice crispy crust. Preheat oven to 325 degrees. Grease and flour 2 loaf pans. In a medium heavy bottomed saucepan, combine the sweet potatoes, brown sugar, heavy cream and butter. Cook over low heat, stirring frequently, until the butter is melted. Use a potato masher to mash the sweet potatoes well, then continue cooking over low heat until the mixture is thickened and the cream has evaporated, about ten minutes. Set aside and let cool. As that cools, in a large bowl, combine the eggs, sugar, oil, pineapple and extracts. Beat well. When cooled, add in the sweet potato mixture and beat well. In another bowl, mix together the flour, baking soda, baking powder and spices. Combine this with the wet ingredients. Mix JUST until combined. never over mix quick bread or muffin batters. You’ll end up with tough tunnely (yes that too is now a word cause I said so) bread. Bake at 325 until a toothpick inserted in the center comes out clean; about 70 to 80 minutes. Let cool in pan on wire rack for five minutes then turn out onto the rack to finish cooling.